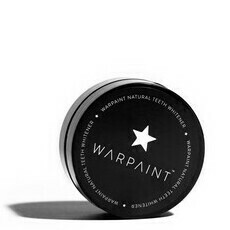 Warpaint is an Australian company providing high quality, food grade, teeth whitening powder made from activated coconut shell charcoal, bentonite clay, and organic sweet orange peel, peppermint and lemon myrtle. 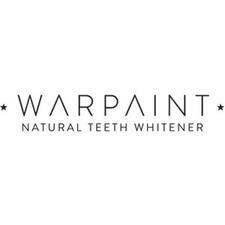 The Warpaint Natural Teeth Whitener remineralises and strengthens teeth, and is rich in beneficial minerals such as calcium and potassium which care for your entire mouth, helping to remove tartar, clean gums and reduce oral infections and inflammation. 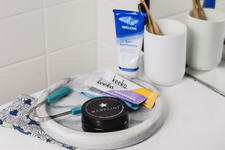 A very gentle abrasive, Warpaint Charcoal Teeth Whitening Powder is highly effective at naturally removing stains and discolouration associated with coffee and tea drinking, instantly cleaning, polishing and whitening teeth. 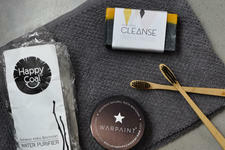 Nourished Life loves that Warpaint is also completely Vegan and Cruelty Free. Warpaint is a naturally palm oil free product. Top 5 unconventional dental practices you need to try! The benefits of Activated Charcoal!